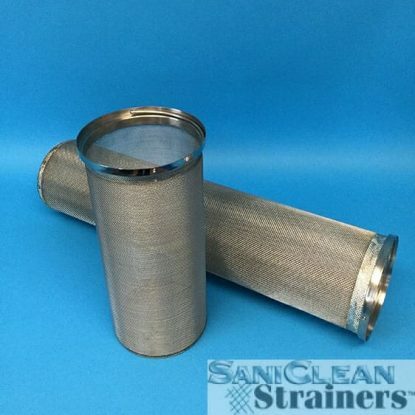 SaniClean’s Wire Mesh Liner Baskets are designed for a ‘slip fit’ inside the Perforated Support Basket for easy removal and cleaning. 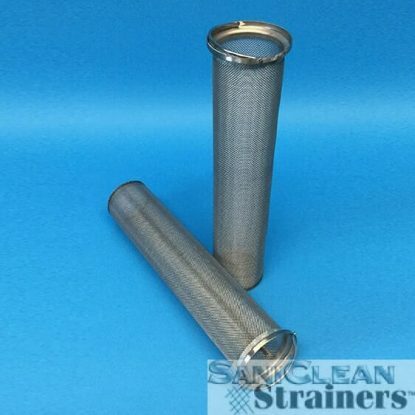 Available in any mesh or micron opening size. All seams are continuously resistance spot welded – no loose edge wires. Top ‘open end’ of basket is fitted with a sheet metal flange and swing handle. Mesh is pure tin soldered to sheet metal flange, thus eliminating entrapment.